By Thelma Reese and Barbara M. Fleisher (2017 – Roman & Littlefield Publishers). Following their 2013 book, The New Senior Woman, Reese and Fleisher, two retired college professors, tackled the sometimes thorny issue of how men successfully transition to life in retirement. There are many things to love about this book. First, there are thoughtful conversations with many men, from all walks of life, at various stages of their retirement journey woven into the book. These provide snippets of real-life case studies that paint a rich portrait of lived experience and wisdom. The reader comes away with a sense that each retirement is truly unique. However, there are some universal challenges that each man faces, primarily around identity and purpose. There’s a clear sense that despite the realities and challenges, many men are seizing the opportunities that this phase of life offers. These stories give concrete examples of men who are finding creative solutions and designs that work for them and align with their values and priorities. But there’s no sugar-coating in this book. The authors take on a myriad of tough issues head on and extract the lessons learned from the stories of various men’s experiences. Second, this book has a wonderful sense of humor. The authors provide a look at the lighter side, while still addressing serious issues such as ageism. The humor provides a great balance and you come away with a sense that you are getting to know not only the characters who were interviewed, but the co-authors as well. There is sound information and useful tends highlighted in the book, but their personalities come through as well. Third, it’s one of those books you read where you find yourself slapping your forehead saying “That is brilliant. Why haven’t I ever thought of that?” My favorite example is the title of Chapter One: Manning Up to Retirement. What you focus on matters – and it’s a choice. What’s your attitude toward retirement? The authors emphasize that this phase of life is an opportunity for renewal and reinvention, in contrast to some of the messages that our culture and society at large emphasize. But there are innovative ways many men are discovering to continue to contribute and add value. Think differently. The authors note that “Life isn’t a matter of either -or.” Retirement today is vastly different today. There are new options to continue to work in different ways and build a portfolio of interests and activities. If you haven’t already, give some thought to what your identity was during your career and what you want it to be in retirement. It’s a harder question, and a more important one, than it first appears. How will you need to “Man Up’ to have a great retirement? I found this book to be very insightful and inspiring, while being firmly grounded and rooted in the stories and experiences of the men they profiled. If you are a senior man, or hope to be one someday, this book is well worth your time. 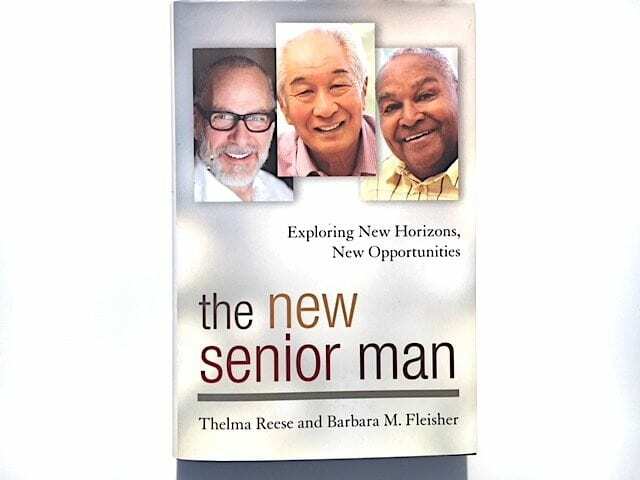 If you know a senior man, who is approaching retirement or is in retirement, this book would make a meaningful gift.